Mindfulness, or awareness of the present moment, means ensuring that you are aware of the here and now. Part of the Buddhist and Indian Yoga traditions, mindfulness has become more and more popular in the West. Mindfulness can be achieved through practicing meditation, and indeed, many people practice mindfulness during meditation sessions or other mental exercises. According to a recent study, mindfulness can combat everyday stress by helping to clear the mind and body. In the latest issue of the journal Perspectives on Psychological Science, Britta Hölzel of Justus Liebig University and Harvard Medical School describes the many positive aspects of mindfulness, which she discovered through extensive research. Some of these benefits include attention regulation, body awareness, emotion regulation, and increased sense of self. Mindfulness can be very useful for achieving attention regulation, since focusing on the present moment helps with removing distractions. Furthermore, previous studies have concluded that mindfulness can be helpful for those suffering from attention disorders. Meditation sessions can help to alleviate some of the effects of these types of disorders. Body awareness also results from general awareness, for when you focus on your surroundings, you become keenly aware of the fact that your body is right there with you. Meditation also affects one’s spirit, or mental state, as well. Emotions, especially, are guided by one’s state of mind, and mindfulness can help to focus these emotions. Whether anger, resentment, or love, emotions can be very powerful and can fuel one’s desires. In order not to fall to dark impulses, our emotions must be brought under control by practicing mindfulness. 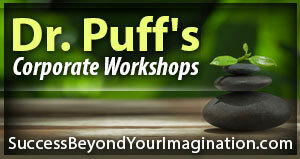 Furthermore, a true sense of self can be achieved after long periods of mindful thought. Through mindfulness, one can feel centered in the world, gaining insight into one’s true place in the galaxy, destiny, and purpose for living. Mindfulness provides us with insight and guides us on a path toward spiritualism. Through mindful meditation, we can successfully cope with the stresses of everyday life. Dr. Holzel’s article hints at the ways in which mindfulness can help people to combat stress and put things into context in everyday life. Hopefully, more extensive and farther reaching studies will be performed on the topic so that all of the benefits of mindfulness will truly be explored.